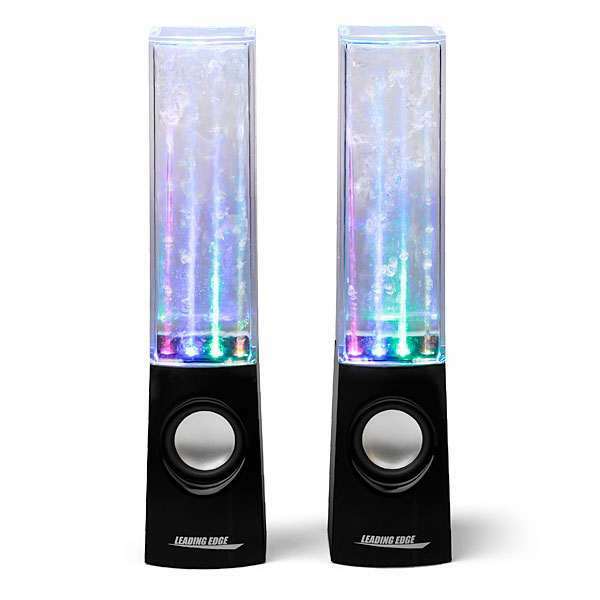 Broadcast your beats to the world from your car with LED equalizer stickers, and broadcast your beats to your mama from the living room with these dancing water speakers. Don't worry, she'll love them. They'll remind her of the fountain at the Bellagio and that time she saw David Lee Roth's lounge act live at the Flamingo. 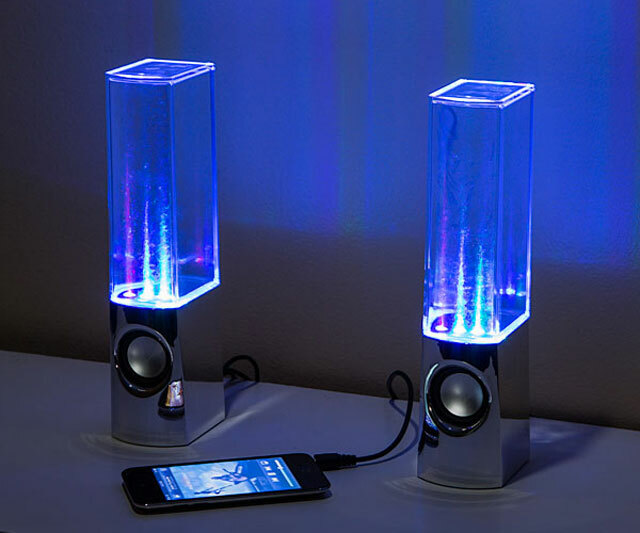 Plug a pair of fountain speakers into any USB-compatible music device, and fire up "Just a Gigolo". The bass will ignite the water inside the plastic canisters, plus 4 multi-colored LEDs, and the lot of them will begin dancing and jamming and rocking to the rhythm of the house. Perpetually and indefatigably. None of this only once every half hour for 7 minutes BS you find in Vegas. Dancing water speakers look especially righteous dancing in the dark. And also on the ceiling. Like Bruce Springsteen and Lionel Richie. Like Bruce Springsteen and Lionel Richie all rolled into one and stuffed inside a pair of LED-lit aquariums. Now that's a Vegas show I'd pay to see. Speakers are 9" tall and come with either black, white, or pink bases.